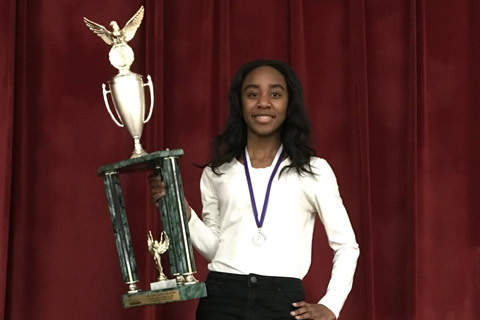 Noelle is a member of the Willingboro Burlington Chapter of the New Jersey Orators, who won the State Championship. Noelle also won an individual award for her monologue in the category of Dramatic Interpretation. Noelle is a 9th grade student, and her career goal is to become an entrepreneur or an economist.